It's important to use sunscreen everyday, even when you're in indoor as well. Tell you a secret, I only start rajin use my sunscreen last two years as I thought my skin was fair enough and doesn't required to use any sunscreen at all. I also hate those sunscreen with sticky texture. 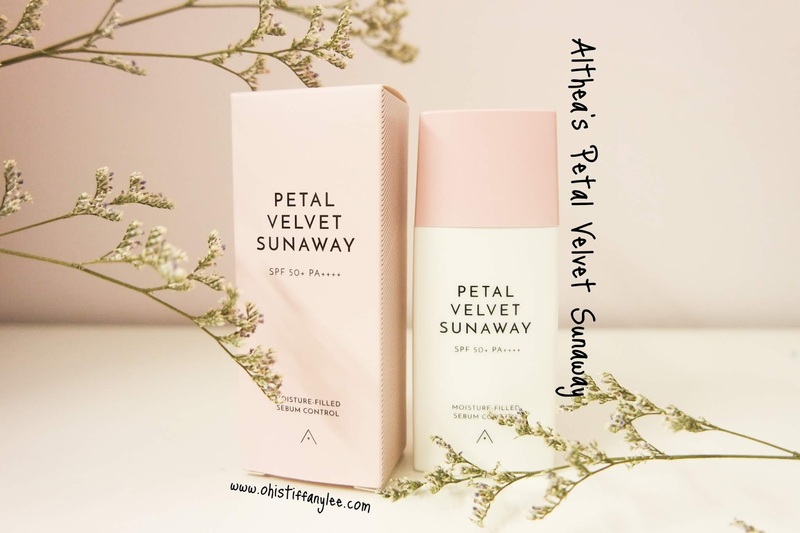 I recently tried out the latest product from Althea Korea, Petal Velvet Sunaway. It is the new product from Petal Velvet series! 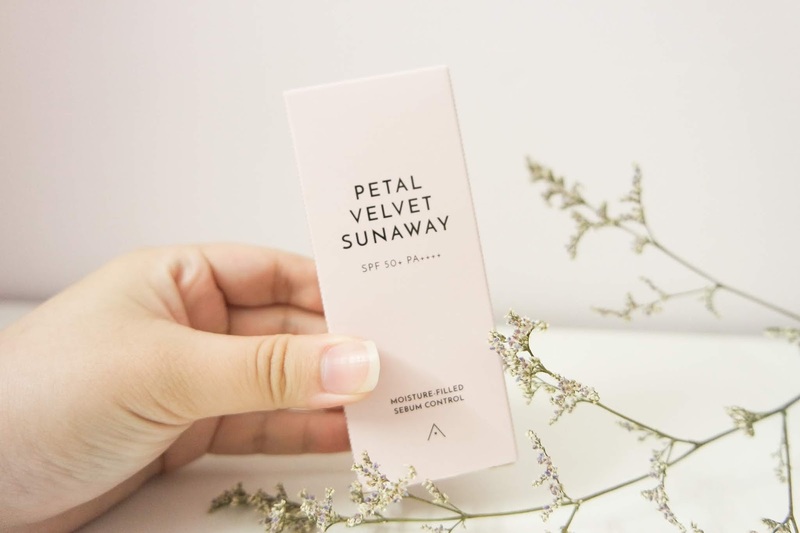 Petal Velvet Sunaway is a sunscreen with SPF of 50+ and PA++++ to help you get rid of the harmful sun UV ray! As a Althea Angel, I can't wait to share my thoughts on it! 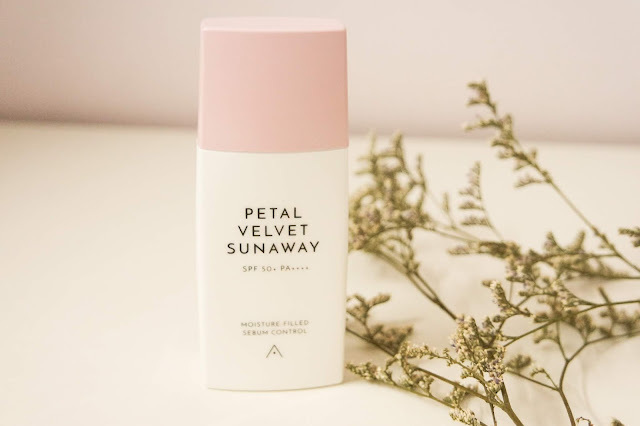 Compared with other brand, this sunscreen are extra lightweight, you will feel like using a skincare products rather than a sun protection product. 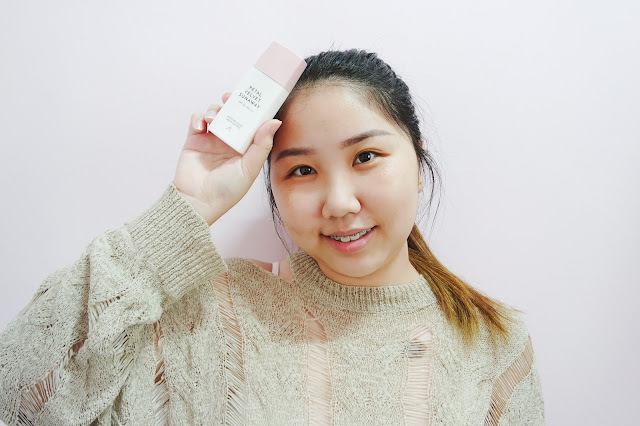 Not only that, it also help to keep your skin stays fresh and hydrated throughout the day as it is formulated with hyaluronic acid (attracts moisture to the skin, preventing dehydration) and Damask rose extracts (deeply hydrating and soothes irritations). 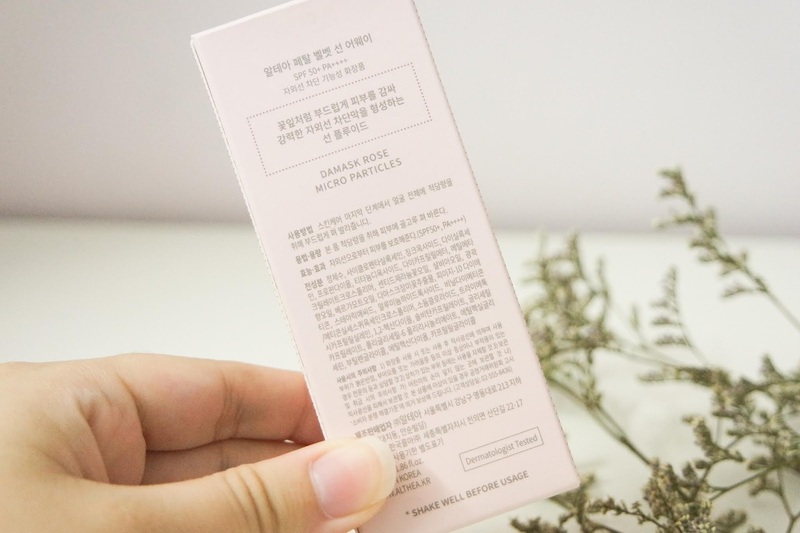 It contains micro-powder particles that give you a smooth, petal-like complexion. Like their previous range, their products always comes with in minimal packaging. It looks simple but you can clearly know what's the product for. The back of the packaging are all in Hangul, but you can check the English version on their official website! 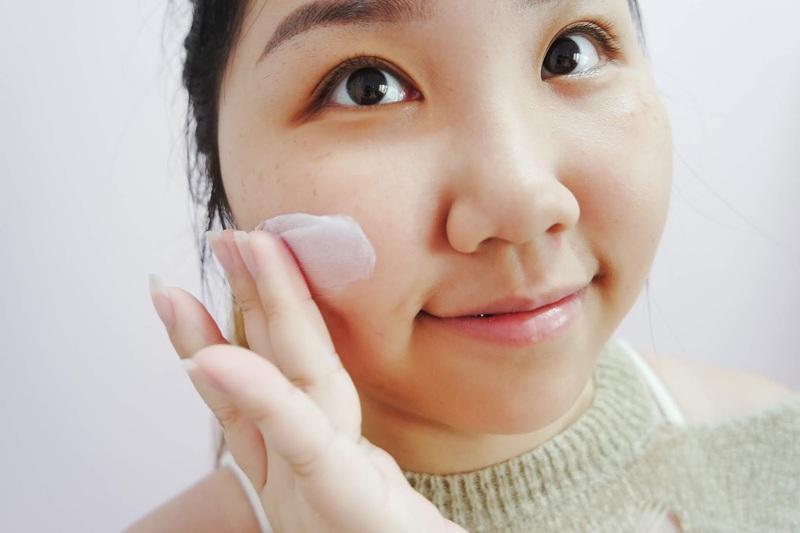 For this sunscreen, you need to make sure that you already shake it before squeezing it out as the texture is quite watery. It actually blends very well with just using your hand and most importantly, it doesn't give off a white cast, that's definitely a yay for me! I currently use this sunscreen for everyday. 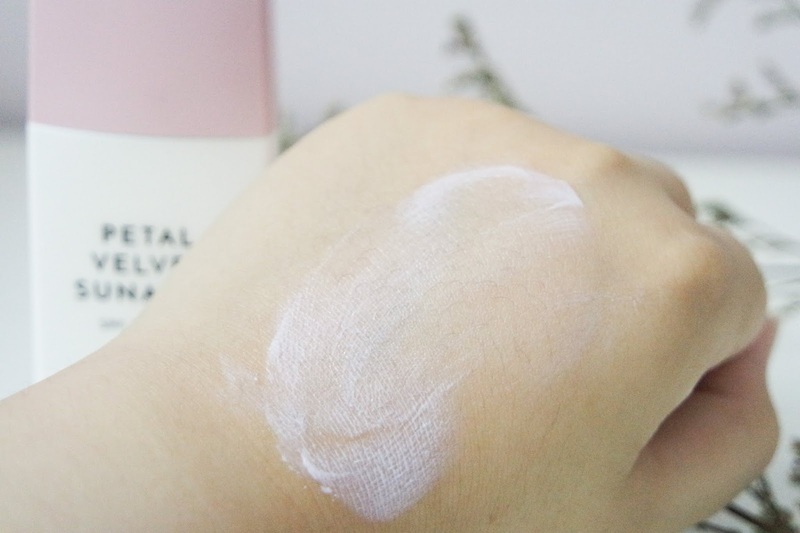 It will make my skin looks matte but with a slight shining, like a natural highlighter on my face. Although I have dry skin, I love how it looks on my skin. But if you're not a fan of matte skin look, you can give this a go. 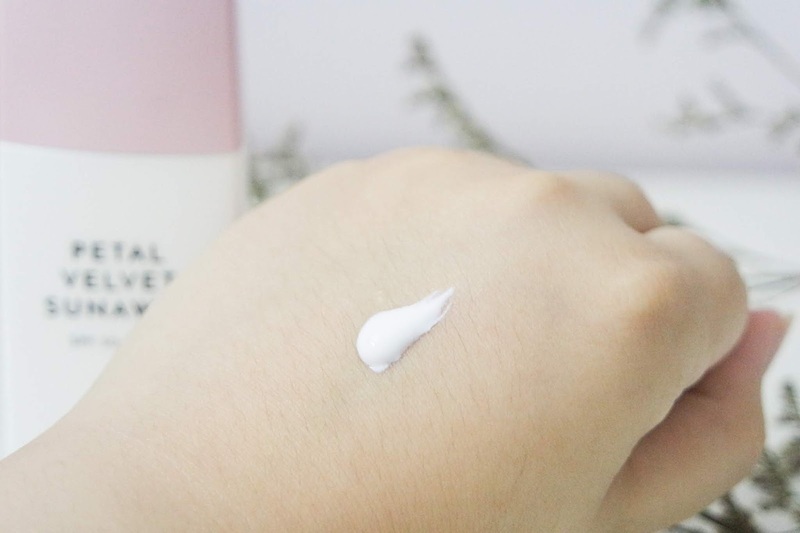 For those who hate the sunscreen leaves greasy or sticky feeling on the skin, you should try out this sunscreen and I'm sure you will love it! This product is very suitable for oily skin type as it did a great job in oil controlling and keep your skin stay shine free. My face looked less oily although I was at outdoor for whole day. So far it does not cause any skin break out too. However, I'm not a fan of the rosy scent in this product even though now the scent is not as strong as first time using it. I found out quite a lot people like it so it really depends on your preference. For the price, I think it is worth for its amount and quality. Another bonus mark, the product is made with natural ingredients and cruelty free!! 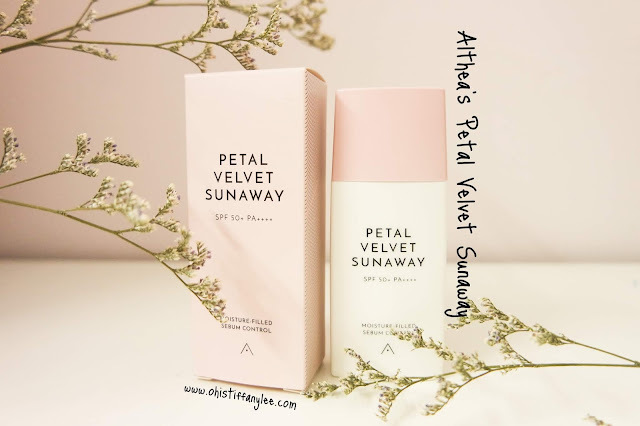 Althea's Petal Velvet Sunaway sunscreen is selling at the price of RM43. You can now purchase this product on Althea Korea. 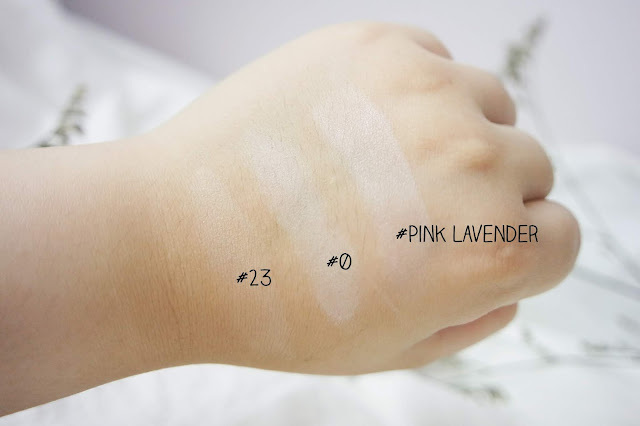 Currently there are 3 shades for Petal Velvet Powder, #0 Translucent, #23 Warm Beige and Pink Lavender. 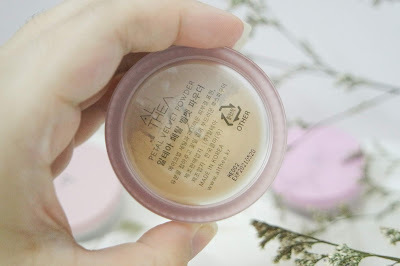 I reviewed the translucent loose powder on my blog before, you can read the full post HERE. 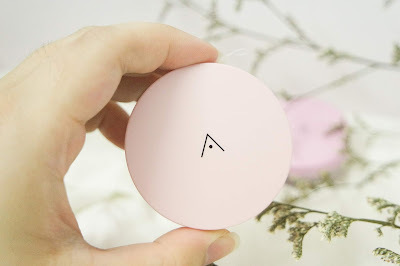 I have tried translucent and pink lavender loose powder and I really like it. I also received warm beige shade which I have never used before. 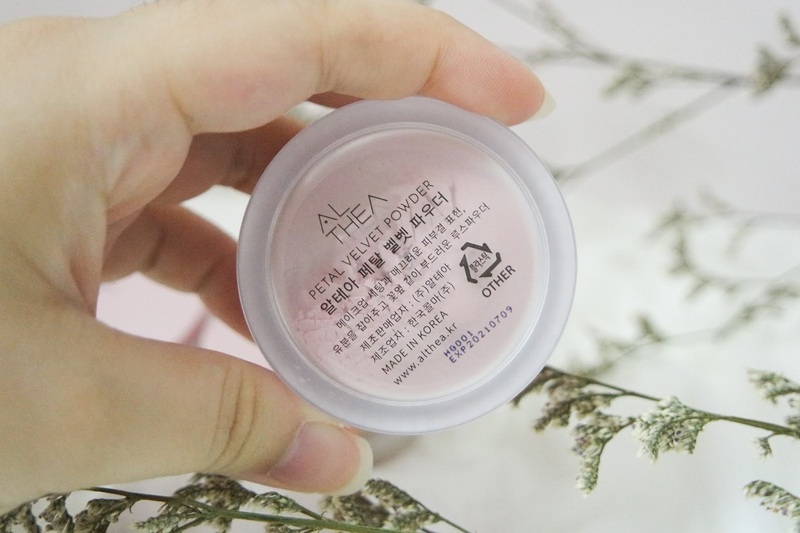 For shade #23, it has a slight coverage and for pink lavender, it is a special edition for Althea Korea 3rd Anniversary. 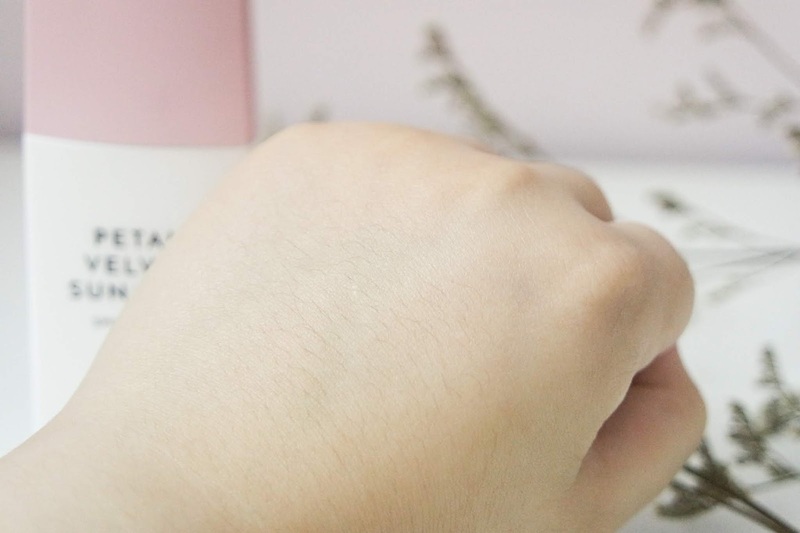 I used pink lavender the most as it help to brighten up my skin tone and I like the lavender scent in this product. As I currently have one extra Pink Lavender Petal Velvet Powder, I might be planning to giveaway during December as Christmas present hehe! Of course I will add more products as well, so please stay tuned yo! 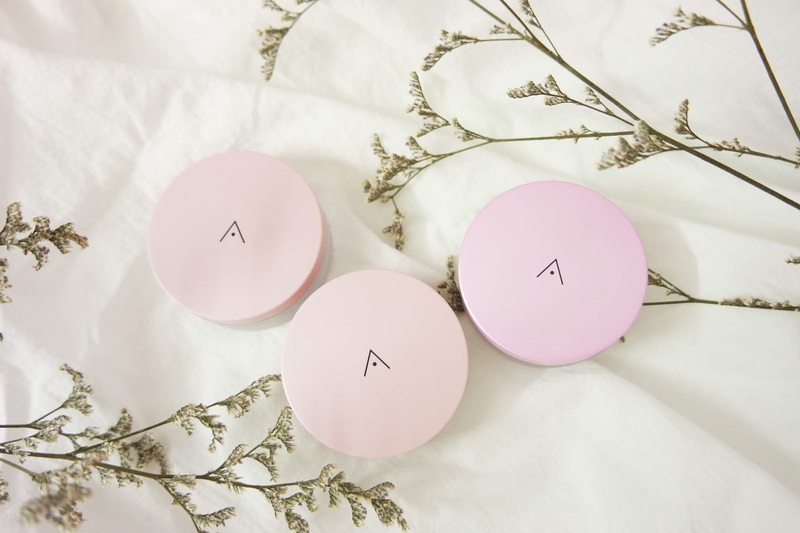 Althea Korea also offering a bundle set with 10% discount, which you can purchase their Sunaway sunscreen plus petal velvet powder(3 shades) for only RM53.10 (normal price is RM59). Oh ya, you can get free shipping on all ALTHEA Exclusives products with using this CODE: PBSHIP too! If you haven't create a account, feel free to sign up via my link for a 20% discount on your first purchase yo!